No data, no earnings, so how's oil? It sometimes comes down to that as oil has become the proxy for all world trade. You get oil up a tad and it means there could be a trade deal, there could be a re-ignition of some part of the world that's been moribund, a sign that Brexit isn't that bad? That the Italian budget deal will be solid? That's a lot of weight to put on crude, but it's been like that since Oct. 3 and it's not for the machines to question the best single minute-to-minute predictor of the S&P 500 even as 90% of the S&P 500's earnings benefit from lower oil. When people ask me if the market is right for them, I think about these last two weeks and I pretty much say, "Maybe for some of your money, yeah, but not for all of it." For years I thought that the market is the greatest wealth generator of all time and I still feel that way to some degree. But there are no rules, no governors, no one looking out for anyone other than themselves, and I think the combination of too few individual players, too many indexers and the endless parade of faux diversified ETF products has pretty much made the market dysfunctional -- both up and down, purists --on a regular basis. I think that to say this is a "sane" market is to be downright silly even as there are plenty of people who are vested in it saying that. Honestly, have you ever heard anyone called on the carpet for creating an ETF that is strictly for trading, actually being held to account for developing unsafe products or ones that twist the whole notion of what we are supposed to be doing here -- investing in companies? Have you ever heard anyone at the Securities and Exchange Commission saying, "You know, these products may not be good for our national interests as a place where inventions get funded and companies provide for shareholders?" Does anyone from the government, any politicians, care about an orderly market? You didn't care when it was going up. Totally untrue. I have been predicting this kind of dysfunction for ages. You only care about bringing back the uptick rule. Totally untrue. I do know that most ETFs thrive on the notion that they are able to take advantage of the "no-uptick" rule to get things done quickly and therefore fulfill their own mandate. So what? Who cares, in the end things will work out. The problem with No. 3, which has been my default position, is that in the end, people leave! Why are so many of these products, these ETFs, so seductive? I will tell you a good reason why: The companies themselves have been told by so many different funds that if they split their stocks then it boosts the amount of commission it takes to buy shares. The people who propound this stuff are right for certain. There's less commission if you buy one share of Amazon (AMZN) for $1,500 than 10 shares for $150 (and even $150 is too high). But what the companies don't realize is that the big stocks are very easy to knock down with puts, and because of the percentage nature of the win on a put that, say, doubles, it is worth it to gang-tackle any stock with a combination of ETFs and puts. More important, individuals do not look at stocks as rationally as they should. They don't want to buy one share of Amazon. They want a minimum of 10. Not going to happen. So they wander into ETFs that contain Amazon. So we end up with this silly world where oil is higher, which causes the futures to be higher, which causes FAANG to be higher (still a proportionally large segment of the S&P), which causes the day to start green until some oil company somewhere comes in to sell 50,000 barrels and Amazon ends up down $50 and Facebook (FB) cracks and Apple (AAPL) breaks through some low, and that's what investing in 2018 eventually became. 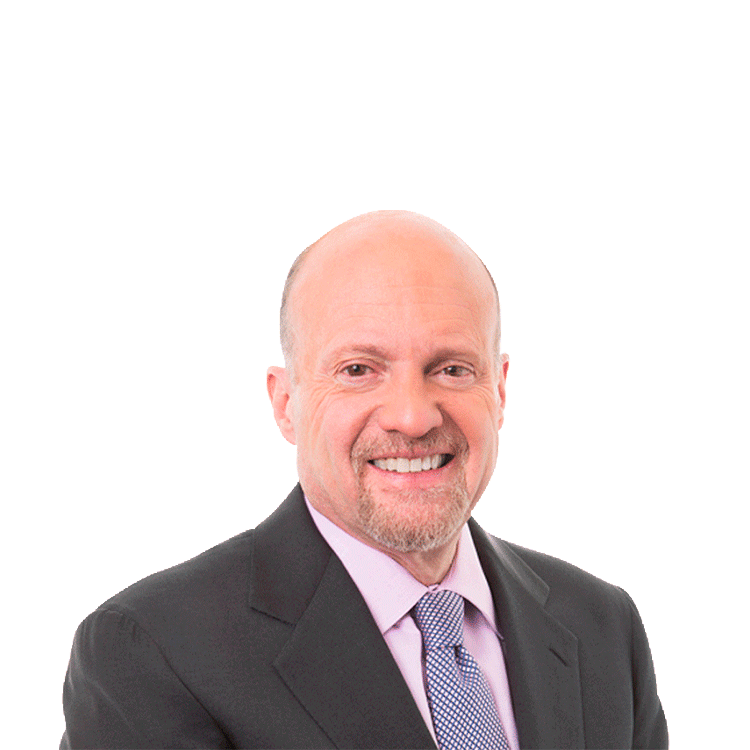 Action Alerts PLUS, which Jim Cramer co-manages as a charitable trust, is long AMZN, AAPL and FB.